Dr. Leslie Grammer and Dr. Anju Peters were recognized for Allergy Immunolgy and Dr. Robert Kern and Dr. Kevin Welch were recognized for Otolaryngology Head and Neck Surgery. 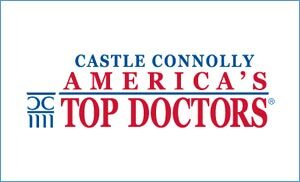 To select the doctors, Castle Connolly sends out 12,000 nomination forms to medical professionals in New York City, Westchester County, Long Island, and portions of New Jersey and Connecticut. The recipients include randomly selected board-certified doctors; all doctors listed in the previous edition of Castle Connolly’s annual guidebook; and, from every hospital in the area, the president or CEO, the vice-president of medical affairs, and up to eight chiefs of service in departments from surgery to pediatrics.